The Master of Business Administration (MBA) is one of the world's most well-known and highly regarded educational programs. For those looking to change careers, move into a business management role, or increase their earning potential, a full-time MBA program offers the skills necessary to do so. 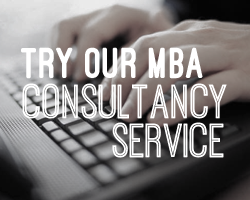 Most full-time MBA programs consist of four semesters that require complete commitment and intensive study. The Full-time MBA degree is an invaluable investment for future business leaders. Learn more about how to find the right MBA program for you, below we have gathered a list of institutions that are renowned for providing their competitive and comprehensive MBA programs. Request information to receive information tailored to your personal requirements or needs, and a training organizer will contact you. The Master of Business Administration is currently the world's most famous immersion and advanced course in business studies. The length of full-time MBA programs vary, but are generally between 1-2 years and require students to commit themselves entirely to the program. An MBA course or program is designed for people who want to develop their business skills to become leaders in the business world, and for those who hope to work in management and governance of companies. Students in the most competitive MBA programs will usually bring five to ten years postgraduate experience with them, however each program has different entry requirements. The full-time MBA program normally takes place over two academic years (approximately 18 months of term time). Courses usually begin in late August/September and continue until May, with a three to four month summer break in between years one and two. Although the requirements for full-time MBA programs vary depending on school, typically applicants should have a reasonable amount of prior real-world work experience, and have already completed an undergraduate degree. Additionally, full-time MBA students should expect to attend instructor led classes provided on campus. If the latter is not an option, it may be beneficial to look into a distance or online MBA program. Masters of Business Administration programs attract delegates from a wide range of academic disciplines and is based on a best practice approach to management. Many MBA programs are designed to provide a comprehensive understanding of business areas such as Accounting, Marketing, Human resources, and Operations Management, to the future leaders of tomorrow. Generally students have the option to choose their area of specialization, in which a third of the program is dedicated to. Popular areas of specialization include Accounting, Finance, Healthcare Administration, Marketing, and International Management. Due to the nature of MBA programs, and the prestige asigned to them, a number of accreditation bodies exist to ensure consistency and quality of graduate business education. Business schools and Universities in many countries offer MBA programs tailored to either full-time, part-time, executive, and distance learning students, with specialized concentrations. Designed for those delegates that want to study alongside their employment, or engage in other activities, the part-time MBA program is usually made up of classes on weekday evenings, after normal working hours, or on weekends. Part-time programs normally take three years or more, and are suitable for working professionals who will engage in a lighter course load over a longer period of time. The executive MBA is a program developed to meet the educational needs of managers and executives, who wish to update their knowledge and rejuvenate their careers. The executive MBA is designed specifically for full-time, working professionals in the mid-stage of their careers.